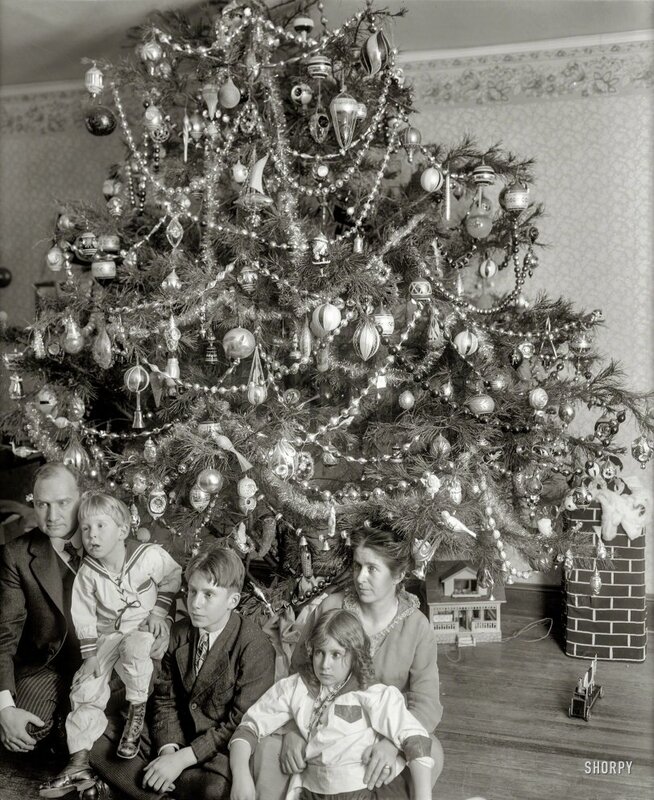 "Dickey Christmas tree, 1915." The family of Washington lawyer Raymond Dickey, whose somewhat unhinged holiday photos are a Christmas tradition here at Shorpy. National Photo Company Collection glass negative. View full size. Submitted by KathyRo on Sun, 12/25/2016 - 11:06pm. Off-kilter and weird, even by Dickey standards. Submitted by davidk on Fri, 12/23/2016 - 1:10pm. The Dickeys were introduced to Shorpy in July of 2008 with a detail of this very photo from 1915: https://www.shorpy.com/node/3920. Since that Christmas in July, we have been treated to annual Dickey posts, spanning 1912 through 1923. Myself, I came to Shorpy in November of 2011, making this my sixth Shorpy Christmas which would not be complete without reviewing the full Dickey set of ten photos plus comments, not to mention the gang at the ION Dept. of the Western Electric Co. in the ceaselessly fascinating Office Xmas Party: 1925 with over 200 comments and almost a third of a million views. Partaking in this highly pleasant December tradition is one of the many ways Shorpy has enriched my time in front of the screen. Thank you, Dave and tterrace, and happy holidays to all my fellow Shorpy community members. "One - Two - Button My Shoe"
Submitted by tritone on Thu, 12/22/2016 - 9:21pm. I never gave that phrase much thought until I saw this photo. I don't believe I ever owned a pair of shoes that buttoned. I wonder when that went out of style? Or perhaps I'm just out of style? Submitted by Lumberbaron on Thu, 12/22/2016 - 7:15pm. Not a single electric light or candle adorns this tree. Submitted by Okeh on Thu, 12/22/2016 - 4:19pm. This is a moment in time recorded, as Michigander correctly describes, as was thought appropriate at the time. I don't see anything grim or joyless. I do concede that it is a bit odd that everyone is looking away from the camera, making me wonder if there was a companion photograph in which they all look at the camera. 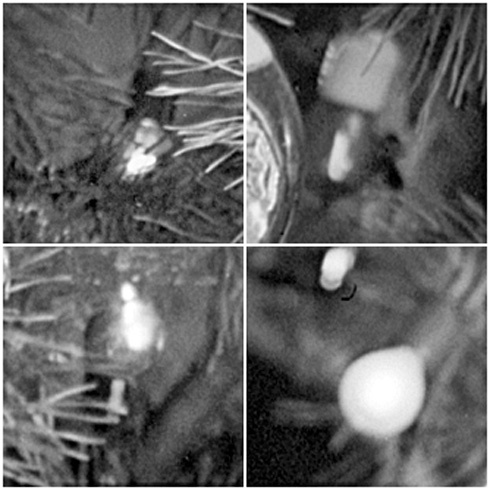 What about the wealth of lovely ornaments on that tree, every one of them fragile and requiring careful packing away? Submitted by Michigander on Thu, 12/22/2016 - 2:40pm. Smiling for the camera, as I understand it, did not come into fashion until the time of mass-ownership of snapshot cameras. Only little by little did the smiling fashion take hold. Before then to have your picture taken was more like sitting for a formal portrait. The idea of the, may I say it, phony smile for a photo session was just not the thing. So I think these folks are just likely to be joyful as not while sitting for this Christmas portrait. I found this quote from Mark Twain, which appeared in a California newspaper back in the late 19th century. Says Twain, "A photograph is a most important document, and there is nothing more damning to go down to posterity than a silly, foolish smile caught and fixed forever." Submitted by OTY on Thu, 12/22/2016 - 2:12pm. One hundred years later, it is hard to know why the joyless expressions, but the gifts in 2015 seem sparse and happiness seems elusive to all. Dad looks hostile, adolescent son seems downtrodden and mom and daughter just look sad. Of course, that may just be in the eye of this beholder; make up your own story.